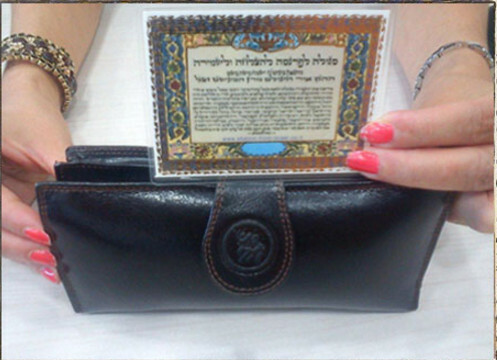 This is the most powerful talisman available in the practical kabbalah. 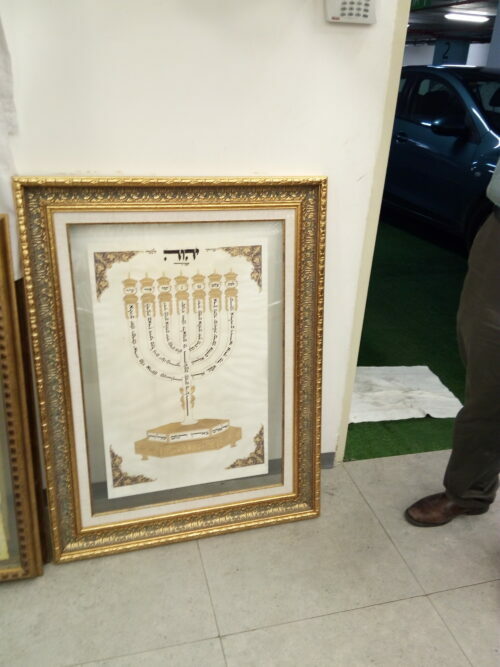 Rabbi David Azulai Scroll of King Solomon Signatories for Eternity was fashioned more than 500 years ago by the hands of the greatest Protection Kabbalists of the generation,. It was constructed according to the specific conditions and instructions delineated in various holy works to track and continue the legend of King Solomon’s seals. The legend of King Solomon’s Seal reflects the cosmic order, the skies, the movement of the stars in their spheres, and the perpetual flow between heaven and earth, between the elements of air and fire. The Seal, therefore, symbolizes super-human wisdom and rule by divine grace. King Solomon’s Seal combines strength, beauty, symbolism and illustrative quality and all within a geometric figure. King Solomon Signatories for Eternity attempts to provide people with emotional security, success in career, good and stable health, luck, fertility, love, partnership, evil eye protection, spiritual elevation any and every good thing a person could want for one’s family and oneself. The Talisman also seeks to provide protection, overcome financial obstacles and improve ones overall well-being. It should be noted that Kabbalah is not an exact science and therefore Rabbi Azulai cannot guarantee the results of his work. Furthermore, the Talisman may empower you to feel better about yourself and your life and activates your innate ability to create wholeness, wellness and balance in your body, mind and spirit. This profound healing method identifies the patterns that are causing imbalance and effectively releases them at the core level. Once the lower frequencies are removed, the natural state of health, self-confidence and inner harmony may return. Amulets can be written on various materials. Therefore, it is important to consider the material from which the Amulet is made. True Amulets are made of pure non-perishable materials. 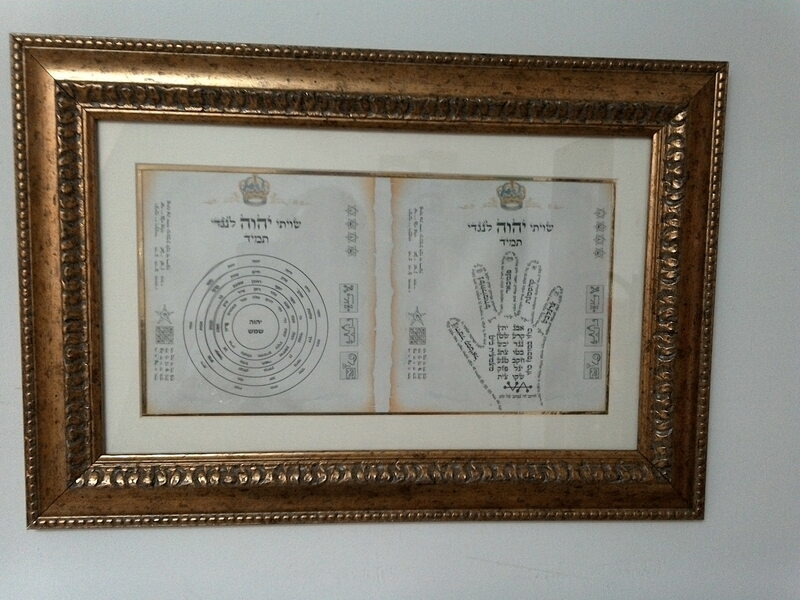 Since Kosher Parchment is a non-perishable material which symbolizes the four elements (air, water, earth and fire) of the universe and is the closest material to the human, it is an excellent platform for Amulets. The letters (script) are crucial for the Talismans success. The letters and symbols are crucial for the effectiveness of Talismans.They should contain pure and powerful energy since they are the builders of the universe and primary power of creation given to Man by God. Each letter possesses its own unique, powerful energy and is used according to the type and purpose of the amulet. Combining letters, words and sentences gives power according to the position and content of the words or letters. Finding the letters and the words, and constructing sentences suitable for the amulet’s purpose, is the important secret of its composition. The texts used by Rabbi Azulai are mainly those of the Holy Scriptures such as the Bible, with the emphasis being on sentences from the Zohar, though also from Psalms and other books and prayers. 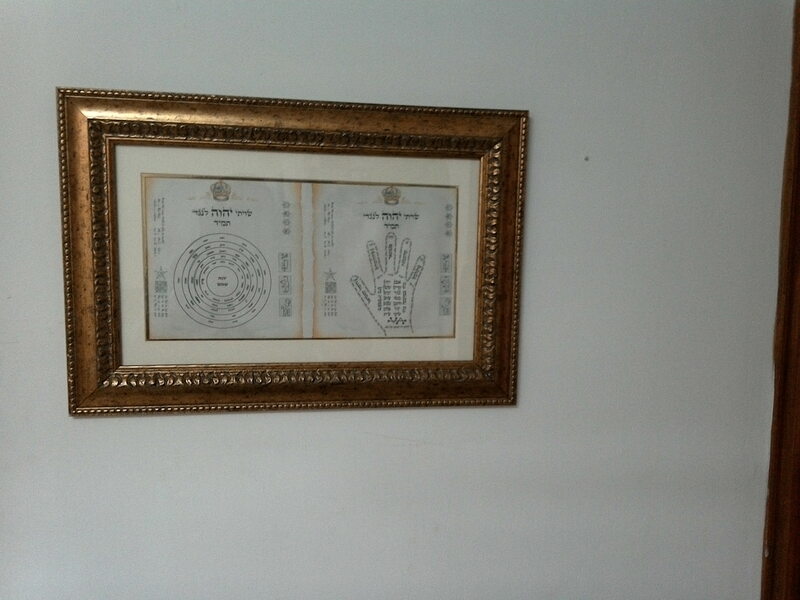 Therefore, each scroll is customized and handwritten according to a specific request. The story about King Solomon Seal goes far back into the 10th century BC, when a magical ring appeared on the face of the Earth. 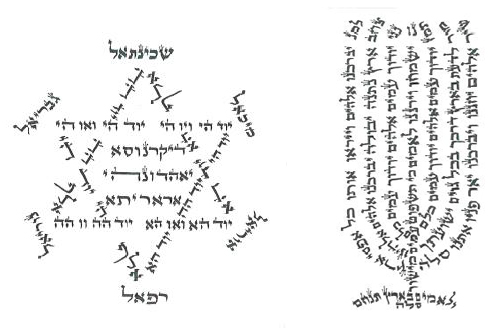 The ring carried a seal of the Star of David on its surface and possessed omnipotent powers, which had never been seen, experienced or owned by any man in the history of humanity at that time. The ring belonged to King Solomon – a famous king of Israel. The ring’s influences and energy had a radical effect on the King’s thinking abilities, and were the reason why he was called “the wisest man” among his contemporaries. In our times being “Solomonic” means being a holder of great wisdom and insights. The powers vested by the King Solomon Seal into its owner has often surprised and even scared people. As important as learning can be, people tend to stay in the darkness of ignorance when it comes to gaining knowledge about magic and poorly understood supernatural phenomena. However, nowadays, thanks to the efforts of many Kabbalists and Jewish mystics, the effects of the King Solomon Seal are well-known and documented. King Solomon Seal is often used as a potent addition to an amulet or a talisman. It is most commonly engraved into rings and other finger jewelry. However, it can also be imprinted on pendants, carved into wood or stamped into jewelry made of gold and silver without any impact on the strength of its power. It is possible to use King Solomon Seal for more than just one purpose. The full variety of its positive use is hard to cover here, so we will describe the most common uses. King Solomon Seal is a true symbol of rulers. It did not just accidentally land in the hands of Israeli kings. It is drawn to power, and throughout the human history it was believed that it brought power and authority to those who wore it. People believed that it was capable of controlling masses of people, as long as the intentions of the rulers were pure and benevolent in nature. The effects of King Solomon Seal on the gray matter are unprecedented. It could represent the optimum solution for people who are actively engaged in learning or do a lot of mental activities. That is why it is common to see amulets with a King Solomon Seal to be worn by students, academics, researchers, etc. The fact that it is often used in medicine says something about the healing powers of the King Solomon Seal. Many people believe today that the symbol connects the forces of heaven and Earth and draws the energy of both to its wearer. Nowadays, people are subject to many problems due to increased stress and pollution. However, those who use amulets with a King Solomon Seal may be able to block the negative energies and stress. It should be noted that such a claim was never proven. King Solomon Seal stands for everything that is right in this world. It is a true token of justice, nobleness, honor, dignity, fairness and good merit. Protection Another way in which a King Solomon Seal may help one improve one’s life is its powerful magical protection. It is believed to work well for protection from bulling at schools, for physical protection against criminals or abusers, and for diversion of the evil eye.